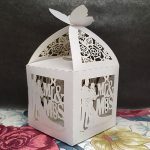 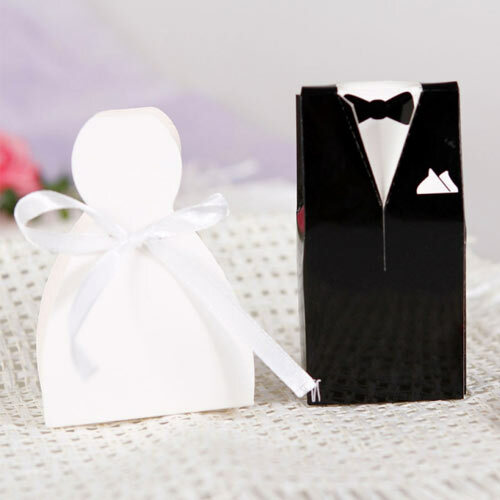 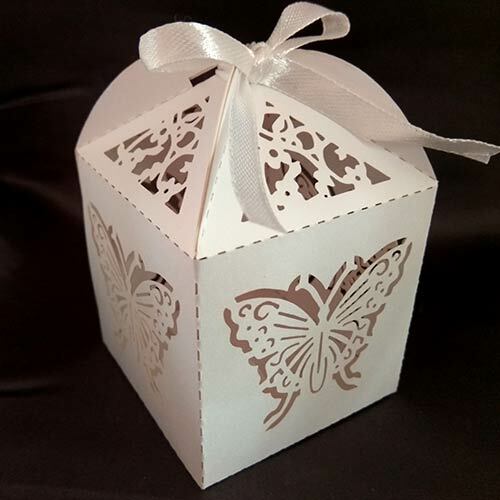 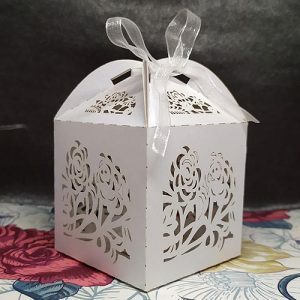 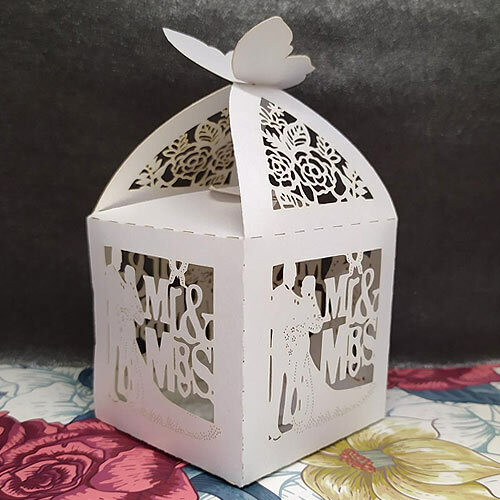 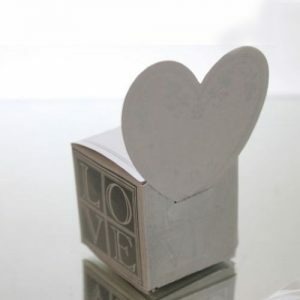 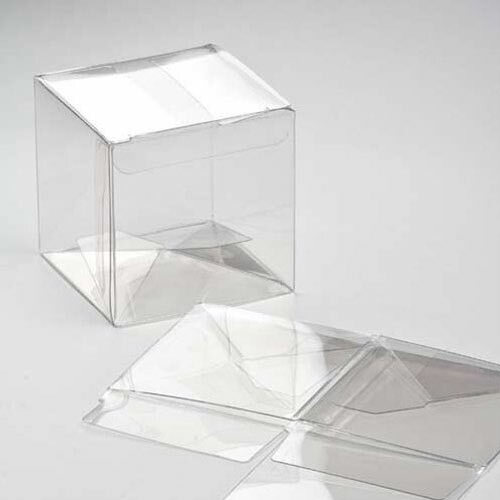 Mr and Mrs Lasercut square cube boxes: These cute boxes are ideal for adding your sweets, treats, confetti or anything you fancy as an affordable favour for your guests. 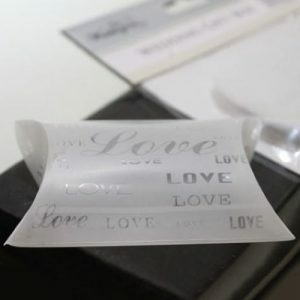 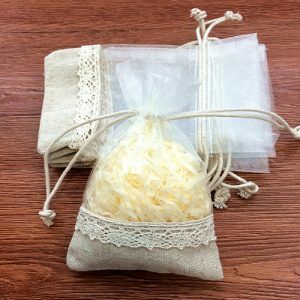 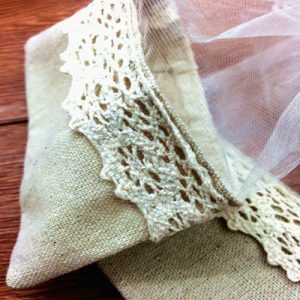 These DIY wedding rustic lace organza cotton sweet bags are quick and easy to fill for a cheap wedding favour. 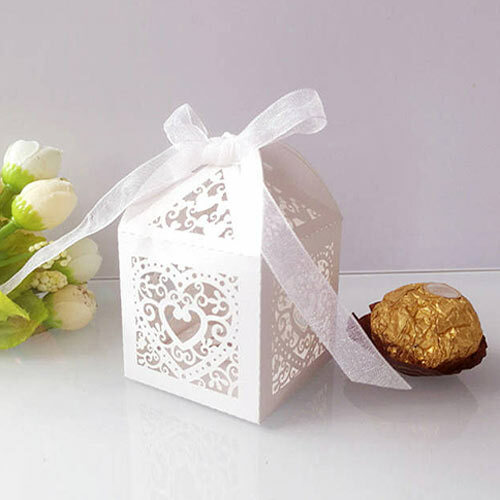 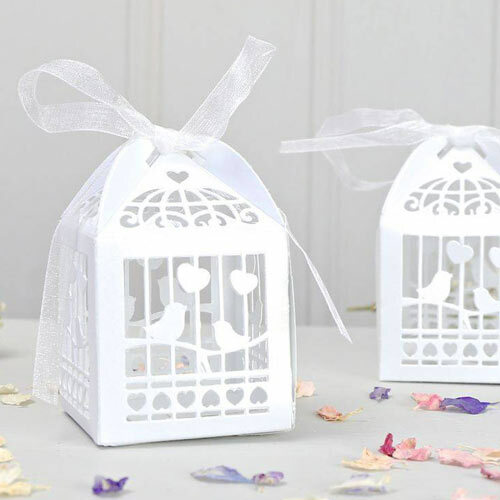 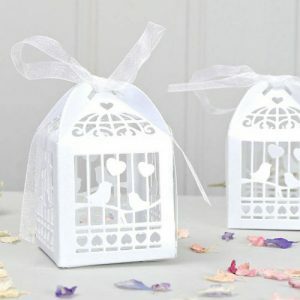 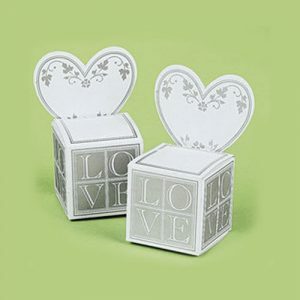 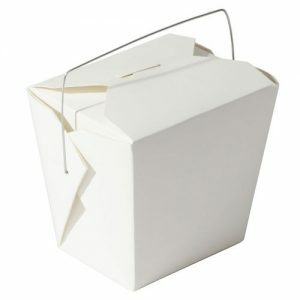 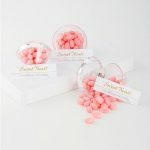 These cute favour boxes are ideal for adding your sweets, treats or confetti as an affordable gift for your guests.